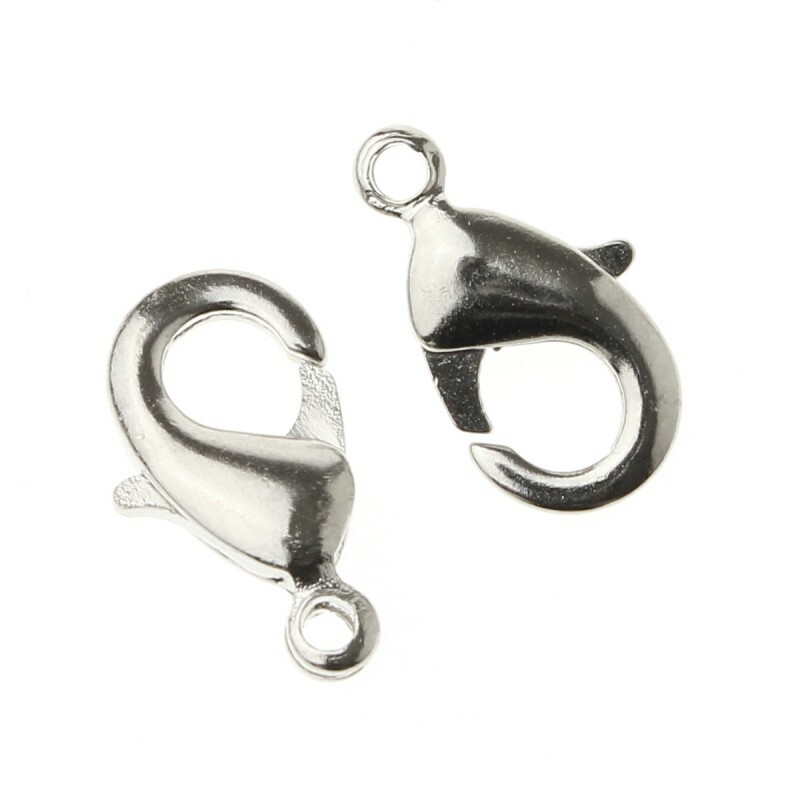 These Lobster Claw clasps are made of silver color antiallergic metal. 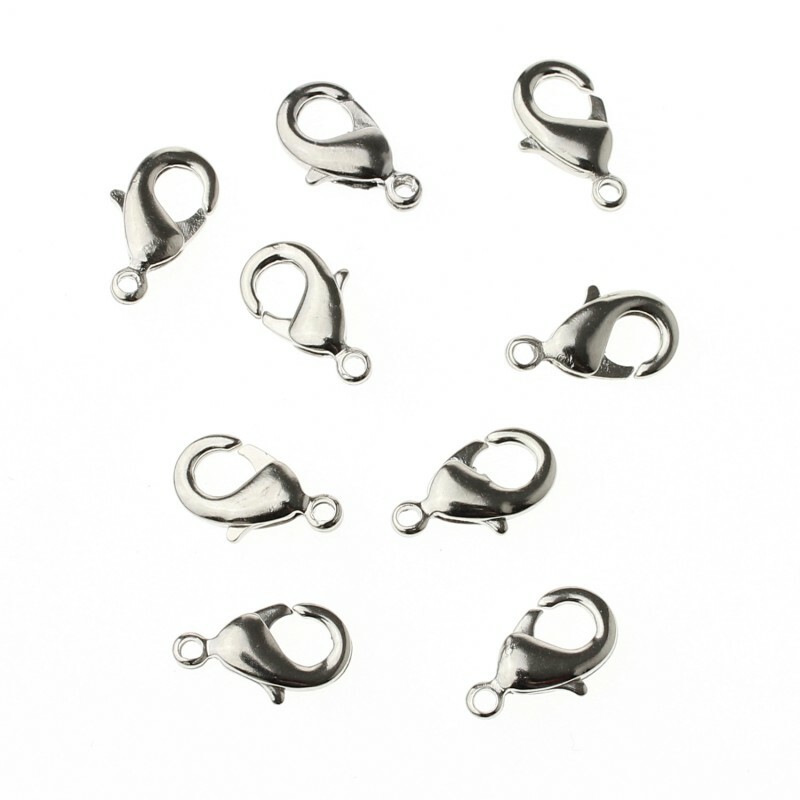 They have measures of 12 x 6 mm and its ring has an inner diameter of 1.5 mm. They are sold in bags of 10 units.